How do I enter my address and contact information to use in Invoices and Payments? Question: How do I enter my address and contact information to use on Invoices and Payments? Answer: You can create a global custom variable containing your address. You will be able to include it to any .rtf template. Custom variables can be created on the Template Variables page of the Advanced Settings window. 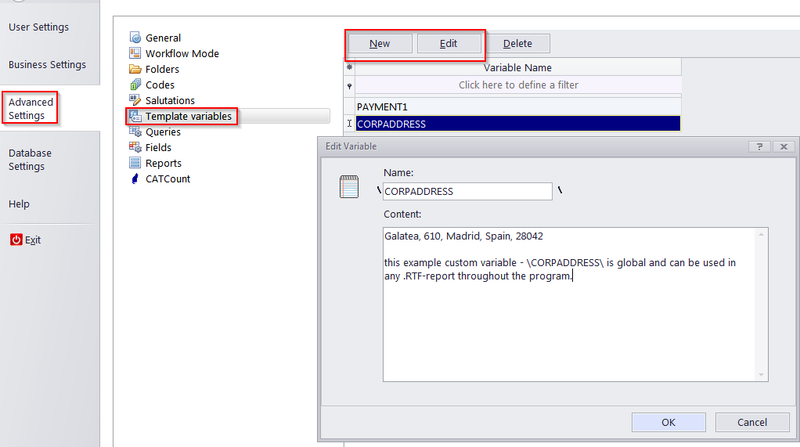 After that, you can add the variable's name to any of your RTF templates in "Business Settings >> Templates"